Finally the big day was imminent. After getting back to the Smith River reservoir on the McKenzie Trail I drove back to Eugene, sat in rush hour outside of Springfield, called Mire to apologize in advance for being late, and motored down to Roseburg to find the BBTC Three relaxing in the 98-degree shade outside the Bureau of Land Management headquarters. We caravanned upriver to the Susan Creek campground and found the next-to-last spot, cramming all three vehicles into one space. Doing the full North Umpqua trail, 70 or so miles in a single day, requires a sound body, an unstable mind and a loathed shuttle. At 5 a.m. Tuesday morning Mire tapped on my window (I sleep in the van) and it was time to roll. I had pretty much packed everything the night before and was thankful for one thing: The great white whale was staying put. We would shuttle up in Peter’s 4-by, then Anthony and Mire would run him back up at the end of the day. To complete the full ride in daylight we would have to average 7 miles an hour, which seemed doable albeit rushed. “Dude,” Preston had told me before departure, “It’s a river trail! Do it in 2 days!” For Preston anything shy of a couple of hours of hike-a-bike is a river trail, but he had a point. Just because a ride is doable doesn’t mean it should be done. Still, it seemed worth a try. Something to tell our grandkids about. Assuming we got that far. To having grandkids, that is. Daily Roundup: Mark Weir’s loss, Bike biz slump, Jimmy Mac looks back, Steve Smith rocks! Mark Weir‘s Marin home burned to the ground. He and his family are safe, thankfully, but what a loss… Best wishes to the Weir clan. Ooof…bike sales down 5 percent in October, shipments down 11 percent. It’s gonna be awhile before we dig out of this hole, folks. 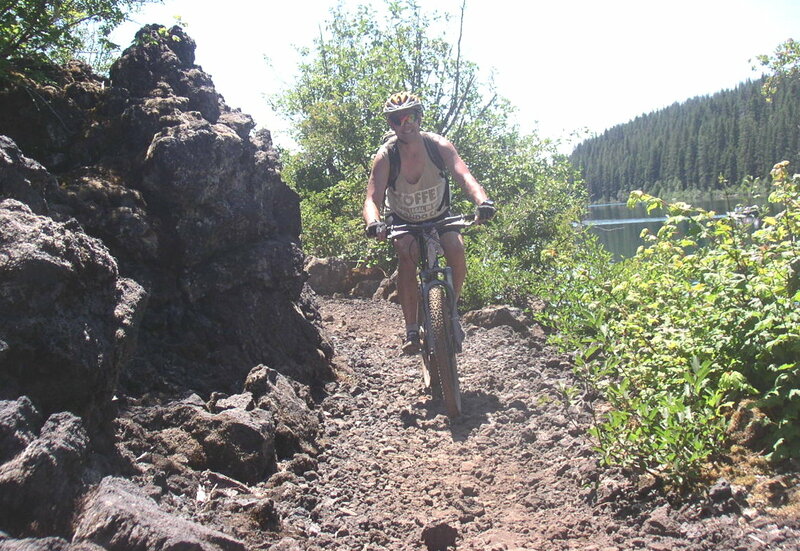 On the brighter side, Mountain Bike Action‘s resident Everyman, Jimmy Mac, looks back on 2009. Great stuff, but Jimmy, I haveta speak up. That photo of the guy going over the rock: As a faithful MBA reader, I recall a letter you printed whose author claimed the photo was faked. And MBA said, as I recall, Hey, we DO NOT FAKE photos. So which is it? Your faithful fan, Paul. We luv Evil cuz they’re based in our home town of Seattle and have one of the coolest bike names, slotting in at No. 4 on our Top 10 Bike Names Of All Time list. So by extension we have to luv Steve Smith. Happy 2010 everyone! Now get out ‘n RIDE!!! Daily Roundup: New bike legislation! Ellipti-wha? Logan Owen can ride! Fuita reg open, LA bike plan where? Anyone who has worked for bicycle advocacy knows how hard it is to get any legislation passed whatsoever involving freakin’ bicycles. So it was with drop-jaw wonderment that we noticed a new law expanding bicyclist rights in 2010. That’s right. 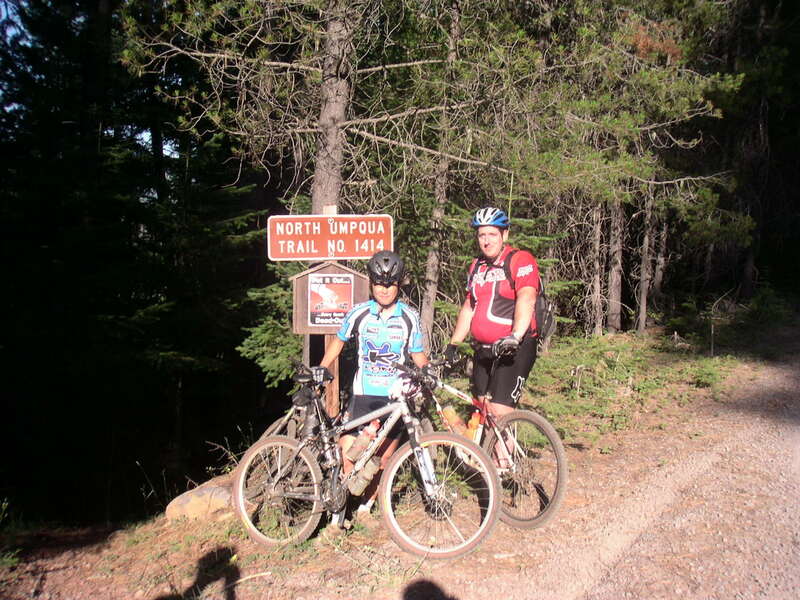 In Big Bear, it is now perfectly legal to ride a bike without a bicycle seat, as long as the bicycle was designed to be ridden that way. As the article notes, the California State Highway Patrol is ready to enforce this law, starting now! OK, I admit it: This kid can ride a bike. You take one look and you know, this kid can ride a bike! Eliipti–quoi? Here’s a bike that enables you to run while you pedal. Why would you want to do that, you ask? Why not just run when you wanna run and bike when you wanna bike? We admit to being stumped. When we were triathloning back in the day, the whole idea was that running was good for your cycling and cycling was good for your running and swimming was good for … absolutely nothing at all. Swimming was useless. But “tri” means “three” so there had to be something. There’s no seat on these things. And although the marketing copy says they can climb, I’d like to take one up, say, Bolinas Road before I believe it. As for passing racing bikes on the flats … well, good for a laugh anyway. The one thing about the Elliptigo that does make sense is keeping the running muscles in shape without the pounding on pavement. I gave up running when my back and knees started feeling it … so who knows? MTBR.com: Fruita Fat Tire Festival registration is O-P-E-N! LAist.com: If Los Angeles is going to all the trouble to have a Bicycle Plan, why can’t it at least get copies to its libraries? Anthony, Mire, Gonzz and I had talked about doing Oregon’s legendary McKenzie River Trail after — not before — Umpqua. But life is uncertain. Better carpe limitem — to seize the trail, as Jim Lyon says. Better yet if I could cram the McKenzie in on Monday, do Umpqua Tuesday, then skeedaddle back to Seattle on Wednesday for a Microsoft briefing. During my post-Juniper Ridge sleepover in Eugene, I talked with Mire by cell phone, and was glad I did. She suggested that I drive upriver from Eugene/Springfield about 60 miles to the Smith Reservoir, and do an out-and-back on the McKenzie’s more tech upper section. 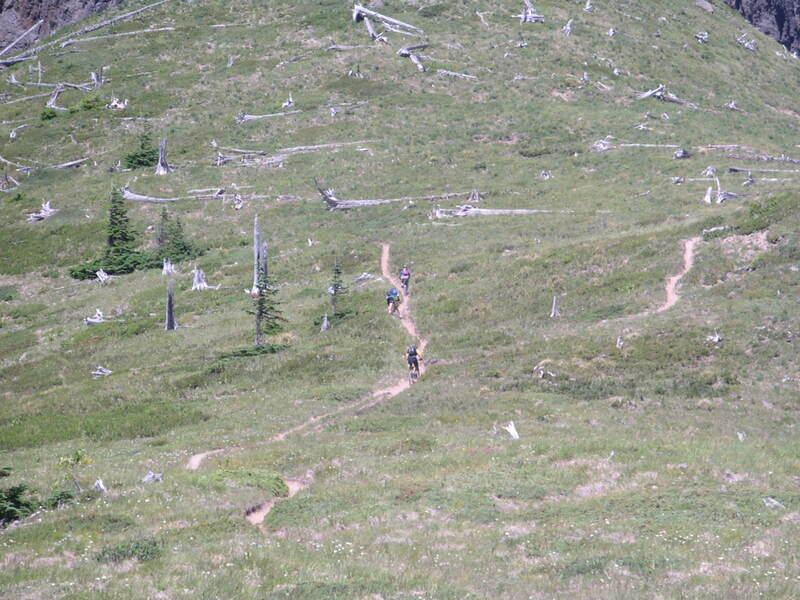 Usually you shuttle and ride the McKenzie top to bottom, around 26 miles. But I hate shuttles and in any case, with only myself on the ride…well, you do the math. Never having done the McKenzie before, I figured it to be a pretty tame river trail from all the publicity and tourbook talk I’d encountered over the years. But I was surprised: It’s got a lot of technical stuff, including a lava field unlike anything I’d encountered since riding the Haleakala volcano on Maui several years ago. And the sights are spectacular: a truly remarkable, glass-clear-to-the-bottom, crystalline pool that, Anthony later told me, is 60 feet deep despite looking about 3 feet shallow; a series of crashing waterfalls, and the recreational flair of Clear Lake on top. There’s also old-growth forest along the way. For cycling fans, the New York Times‘ profile on trials wunderkind Danny MacAskill is more reiterative than informative. We’ve known about the Scottish phenom for months. One point in particular needs clarifying, though. The article attributes MacAskill’s celebrity to YouTube. While YouTube assuredly played a role in elevating MacAskill from a $9-an-hour bike mechanic to a (potentially) six-figure international icon, crediting YouTube for his transformation is like crediting photography for making Marilyn Monroe famous. The images were important. But a lot more was going on. The way MacAskill became “known” is a telling case study of the ever-richer, ever-expanding information ecosystem of the Web. And by way of examination it also reveals in a microcosm why newspapers are in such dire straits, and there is nothing they can do to improve their lot, no matter how much career journalists like myself might wish it otherwise. YouTube certainly made a key contribution to MacAskill’s notoriety. Once his seminal video was posted, the germ was in place. But YouTube is a vast wasteland of flickering pixels. In the Darwinian infrastructure of the Web, entire species of very good videos lie stillborn. MacAskill was just another lad with a few tricks till a Twitterer discovered him. As a bike blogger, I keep a Twitter feed made up entirely of bike tweeters. There are a lot of them out there, the most famous being the Man Himself, Lance Armstrong. The most famous road cyclist, that is. The most famous mountain biker Tweeter — the category that Danny MacAskill more naturally falls under — may very well be a Laguna Beach-by-way-of-Kenzingen, Germany trials rider by the name of Hans Rey. Not coincidentally, Hans Rey is, like Danny MacAskill, a trials rider. In fact, whatever heights MacAskill eventually attains, there’s a good chance that within cycling circles he’ll never match Rey’s august stature. A born self-promoter, Rey was making bike-trick videos before MacAskill got his first bike. So inventive and flamboyant was Rey that his full appellation became “Hans No Way Rey,” as in, there’s no way you can pull that one off! Rey doesn’t tweet a lot, so when he does, the cycling world pays attention. 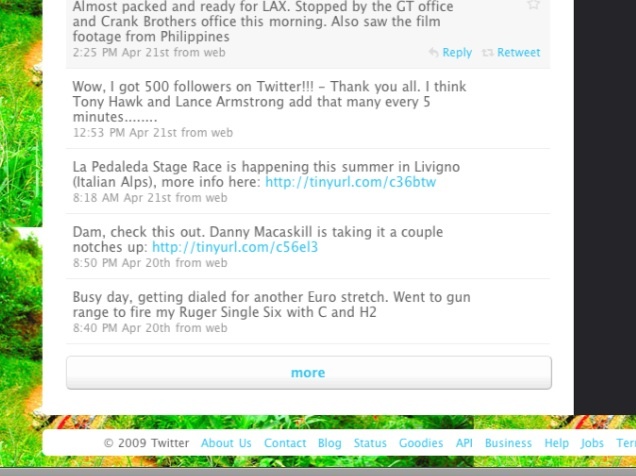 On April 20, 2009, he posted a comment, “Dam check this out,” and link on a “whole new level” for trials riding. The link was Danny MacAskill’s original video, posted just hours earlier. Once the King had given MacAskill his Midas blessing, a Twitternado erupted. Within hours, nay minutes, retweets began flying around the Web. Suddenly MacAskill’s YouTube views began pinning the servers. Gradually (in Internet time, anyway, meaning by the next day) bloggers got into the act. Then email lists, public and private. And, finally, aeons later, a newspaper. YouTube was the source, yes. But in the multi-layered ecosystem of the Web, the source is merely the soil. What made MacAskill famous was the forest of referrals, planted by Hans Rey. When newspapers ruled the earth, they were both the source and the referrer. They enjoyed a wondrous monopoly over how information was purveyed and received. Today the Internet has not only bifurcated those roles, it has partitioned them further among numerous players — YouTube, blogs, social networks, email, IM, and on and on. Newspapers are hanging on as one of the players, but their role is irreversibly waning. After all, in the new online order of things, the Internet is the newspaper. In “covering” the Danny MacAskill story, The Times links to Lance Armstrong, a MacAskill video, still photos and various other pointers. Tellingly, and most ironically, a key progenitor of not only the phenomenon but the art form as well, Hans No Way Rey, was not even mentioned. After a rest day in Seattle it was time to hit the road for Mount St. Helens. I hadn’t explored this area much beyond the standard BBTC [Note: Now Evergreen Mountain Bike Alliance] routes, Ape Canyon, Plains of Abraham, Smith Creek and the Lewis River treks. And to be candid, I hadn’t really wanted to. It always seemed to me too remote to be worth the 3 to 4 hour drive, even before you hit the dirt roads and feeder routes. If you’re gonna go, it’s best to plan a 3-dayer at least. Preston had not done his usual bang-up sales job on Juniper Creek, and there’d been quite a fall-off from the original signed-up crew. Typically Preston dryly understates the brutality factor with throwaways like, you might want to bring an extra water bottle, and there may be some climbing. Oh and don’t forget the sunscreen. Translated, this means: You will enter multi-stage dehydration unless you have adequate water; you will carry your bike up loose rocky embankments for a mile or more; you will arrive home with with full-bore melanoma unless you wear sun protection. For the Juniper Ridge epic, though, Preston was being downright portentous. There was something about water filters… and being in shape for an 8-hour ride … and “more than average” elevation gain. Translated: We were all going to die! The Capitol Hill Seattle Blog is tracking what happened to the neighborhood Bike Corral. NY Times writeup on Danny MacAskill is also about how YouTube makes celebrities out of everyday folks … the way newspapers used to. RC asks for help tracking down this weird unicycle. Never seen one, would love to ride one! If you have the time BikeSnobNYC has the loquacity. Bicycle.net quotes Zirbel to the effect that he doesn’t know what happened. Particularly when a new year is coming, and you want to have hope, you wish you could believe a rider who says he was wronged. But you have to think that the monitoring system is set up in a rigorous enough way that a catch is a catch. If a picture is worth 1,000 words, this would be a gimongous post. Enough said. The bicycle as an anti-theft device. A bicycle without a fork. The bicycle as a levitation device. What Happens in Moab Day 7: White Rim and it’s a wrap! Planning our trip to Moab, Jim and I had talked about doing White Rim in a day. It’s about 100 miles on the full loop, but mostly fire-road flat. Doable, yes. But we’d have to get as early a start as possible, and it would be a long, grind-it-out day. Chances were it wasn’t in the cards this time around. We checked with Poison Spider, where a wrench told us to take it out to Musselman Arch and see where we were. The arch is a great gathering place and turnaround point if you’re so inclined. So that was the plan. We debarked from the tourist-packed Island in the Sky Visitor Center parking lot. You descend fairly gradually down toward the valley floor, where signs direct you to Moab and the prosaically named Potash, a town built around whatever commercial value potash has.There are big ugly holding ponds which have to be toxic as all getout, especially threatening to the Colorado River.